A long standing customer to Glaston needed to analyse the electrical running costs for the entire factory, following an increase in production. At the beginning of the project, the site operated seven fixed speed HPC air compressors varying in size, from 55kW to 10kW, all of which were controlled by a Glaston AirStar controller. As is the case with a great deal of air compressor installations, the compressor system had grown alongside the factory demands. The oldest compressor in the factory was 30 years old, with the youngest being 20 years old. 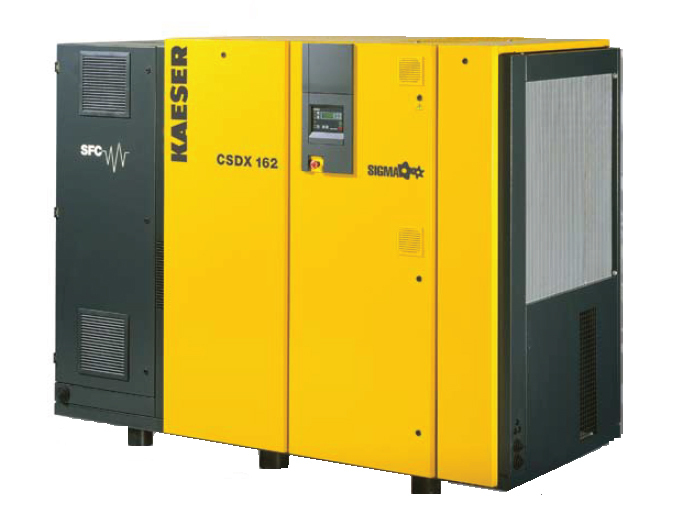 Due to the age of the oldest compressor in the factory, it was decided that after 30 years of running and over 200,000 operational hours, it was time to retire the unit and invest in the latest HPC Kaeser CSDX137SFC energy efficient air compressor. The new unit was installed in 2010, and since then has saved the site over £11,000 per annum in electrical running costs alone. In addition to the new compressor, it was also determined by Glaston that it would be beneficial to install a heat exchanger to one of the older fixed speed air compressors in order to make use of the heat generated by the compressor. As the compressor room was located close to the boiler room, the warm water was then integrated into the boiler system, saving our customer an additional £9,000 per annum for a one off investment of only £5,000. If you have any questions about this case study, or you require any help with your compressed air system either new or old, please contact us on info@glaston.com.